A life full of music: Felix Aprahamian (1914-2005). Felix Aprahamian (1914-2005) is probably the closest thing to a renaissance man we’ve seen in the 20th Century — at least in the realm of music. Born into an Armenian immigrant mercantile family in London in 1914, he spent his entire life in the service of music, despite having trained for a career in business. And he indulged those musical interests with a prodigious passion and flamboyance that left many people shaking their heads in disbelief. Consider any aspect of organizing and promoting concerts … and it’s likely something Felix Aprahamian participated in during his long life. He was concert director of the London Philharmonic Orchestra during the 1940s, and for nearly 40 years worked for United Music Publishers, which was the agent for the most important Parisian music publishing houses such as Durand, Mathot and Salabert. Aprahamian also served as a music critic for the Sunday Times roughly contemporaneously with his tenure at UMP. His music columns were popular with readers, and he was known for his literate (and humane) commentary. He also contributed reviews of recordings to Gramophone magazine, and wrote program notes for concerts and recordings that were notable for their literacy and elegance. 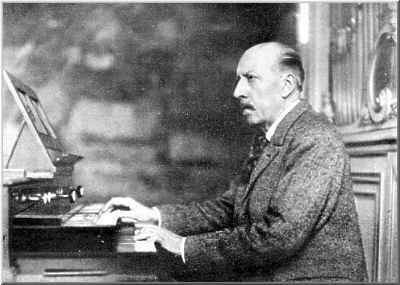 Charles-Marie Widor, French organist and composer (1844-1937). A proficient organist himself although largely self-taught, Aprahamian became assistant secretary of the U.K.’s Organ Music Society at the tender age of 17. His love for the organ is what took him to France in 1933, where he met the great French organist-composer Charles-Marie Widor, then in his late eighties. It was also in France that Aprahamian met Frederick Delius at his home in Grez-sur-Loing, which resulted in a lifelong passion for Delius’ music. Aprahamian was an advisor to the Delius Trust from 1961 onwards, and later served as president of the Society. But it’s safe to contend that French music was Aprahamian’s greatest passion of all — and it was in his role as a concert organizer and promoter that he would bring many new French works to British audiences starting in the late 1930s, extending through the war years and beyond. In 1938, Aprahamian organized the first complete performance in England of Olivier Messiaen’s La Nativité du Seigneur, played by the composer himself. It was the first of many such concerts he would put together for the edification of British audiences. His prodigious knowledge of French music led Aprahamian to organize the Concerts de Musique Française for the Free French in London during the war years. Begun in 1942, he would present 104 concerts in all, performed at venues such as Wigmore Hall. As for Aprahamian’s relationship with Florent Schmitt, it dates from the year 1937 when the two men met one another at the International Society for Contemporary Music (ISCM) Festival in Paris. That initial acquaintance would turn into a stronger friendship in the 1950s. Aprahamian visited Schmitt at his residence in St. Cloud, and Schmitt would do the same during his trip to London in 1956 when his ballet La Tragédie de Salomé was being performed there. 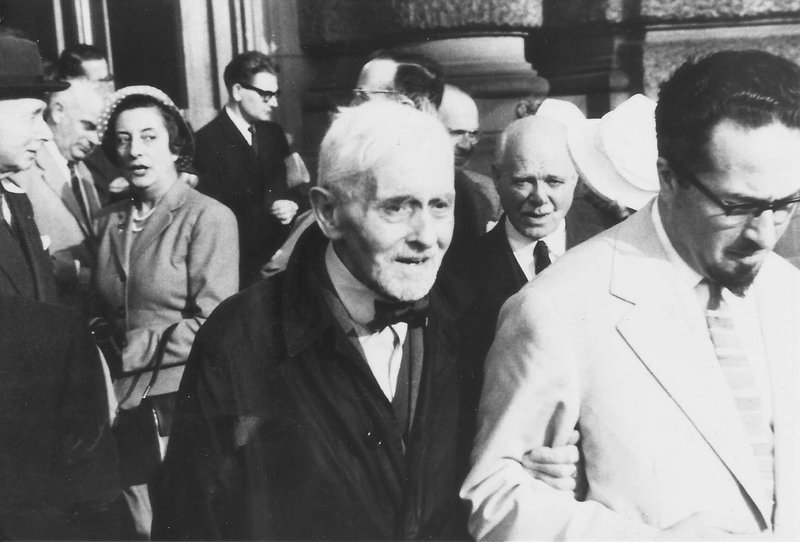 Florent Schmitt (l.) and Ralph Vaughan-Williams (r.), photographed in London in 1956. 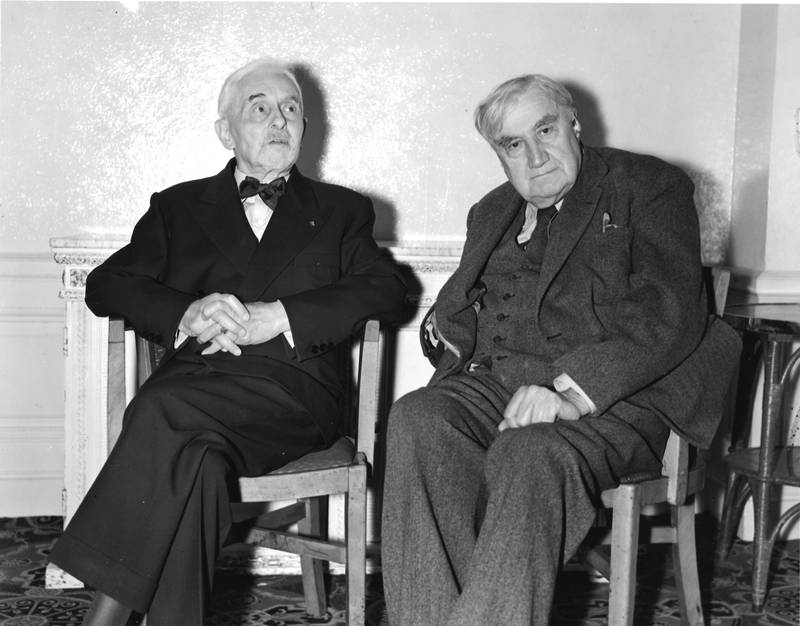 It was during the London trip that Aprahamian organized a meeting between Schmitt and the English composer Ralph Vaughan-Williams, whose friendship with Schmitt dated back to Vaughan-Williams’ stay in Paris before the First World War. A photograph taken at the time shows the two elderly gentlemen in conversation; we can only speculate about the memories they might have been sharing from those halcyon days a half-century before. Felix Aprahamian would also be present for the premiere performance of Schmitt’s last orchestral work, the Symphony No. 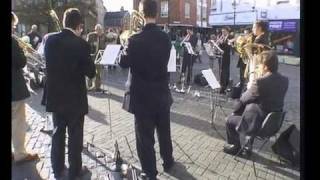 2, Opus 137, which was performed by Charles Munch and the O.R.T.F. Orchestra at the Strasbourg Music Festival on June 15, 1958. In fact, a photo snapped at the conclusion of the concert shows Schmitt departing the concert hall on the arm of Felix Aprahamian. Florent Schmitt and Felix Aprahamian at the world premiere performance of Schmitt’s Symphony No. 2 in Strasbourg, France in June 1958. 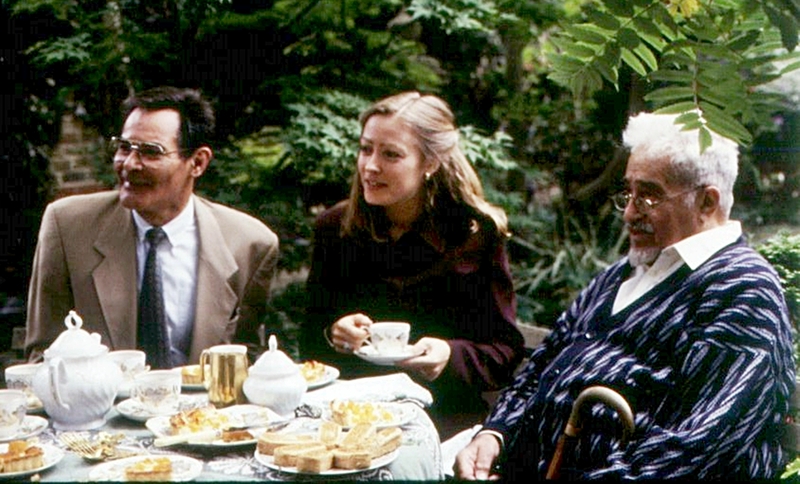 Also pictured are composer-critic Gustave Samazeuilh, pianist Frank Mannheimer and musicologist Marc Pincherlé. The photograph is emblematic of a friendship between the old master and the younger impresario that was bound by mutual admiration and respect. Barely two months later, Schmitt would pass away, just shy of his 88th birthday. Having been born sandwiched in between the birth years of Claude Debussy and Maurice Ravel, he had outlasted both by decades — as well as the musical style that had given them their fame. Speaking of which … Felix Aprahamian never wavered in his devotion to the French musical style of the early- and mid-1900s. 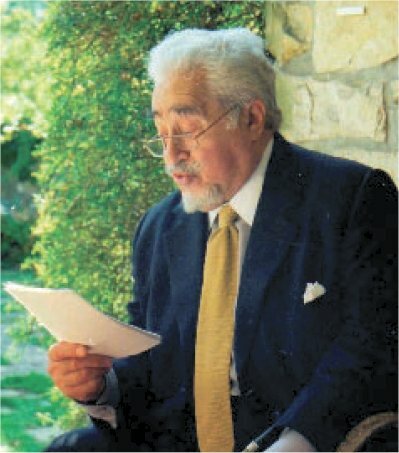 In the remaining decades of his life, he would continue to promote the work of the many French musicians he had been privileged to know personally, ranging from composers like Florent Schmitt, Albert Roussel, Francis Poulenc, Charles Tournemire, Maurice Duruflé, Jean Langlais and Olivier Messiaen … to conductors such as Ernest Ansermet, Charles Munch and Roger Désormière … to performers like the pianist Monique Haas and the cellist Pierre Fournier. In his later years, Felix Aprahamian was a veritable walking encyclopedia of classical music in the 20th century. In lectures and meetings, he would regale his audiences with anecdotes about the composers and musicians he had come to know. 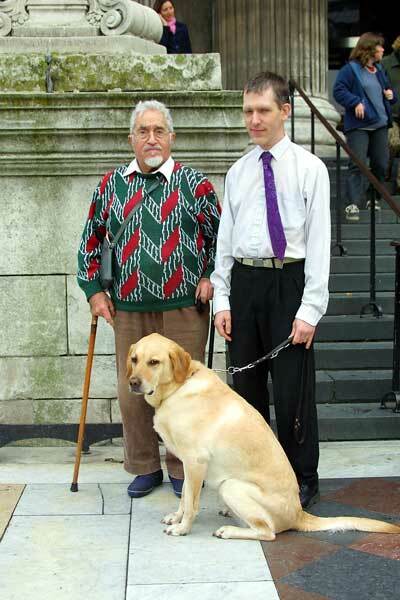 Aprahamian also took on a protégé in David Liddle, an organist he had met in 1978 at Worcester College for the Blind. Aprahamian would later arrange for Liddle to study with the organist André Marchal in Paris, and continued to nurture the young man’s career in the subsequent years. It is a testament to the closeness of that relationship that Liddle would take “Aprahamian” as his middle name following the impresario’s death. As a person who never married, Felix Aprahamian lived in the same house in London’s Muswell Hill District from the age of five on. It was described by many as a “shrine to music” containing one of the most complete private music libraries to be found anywhere — not to mention a grand piano and later a pipe organ. Recalling Edgar Allen Poe’s famous story, this name took on a frightful new relevance when Aprahamian’s home almost did come crashing to the ground. In a fruitless effort to find more usable space for his burgeoning collection of books and scores, he’d added shelves in the attic loft — which promptly caused giant cracks to appear in the structure. Realizing this aspect of Aprahamian’s welcoming nature and openness makes it easy to understand why we have this 1998 video, posted on YouTube, of a busload of brass musicians stopping by Aprahamian’s house to serenade him, and then escorting him to an outdoor musical event commemorating the birthday of British composer Peter Warlock. For Aprahamian, happenings like that were par for the course: All in a day’s work — or all in a day’s fun. Update (8/24/14): Having discovered this blog post, organist David Liddle got in touch with me to share some additional insights and anecdotes about his mentor, Felix Aprahamian. David Liddle, English organist and protégé of Felix Aprahamian. Felix and two friends, Ernest Chapman and Donald Paert, went to France in 1933 for the purpose of meeting Frederick Delius, as the three of them shared a passion for his music. Before the journey, the English organist John Stuart Archer had given Felix a card of introduction to Louis Vierne, organist at Notre-Dame Cathedral. Unfortunately, when Felix went there to meet M. Vierne, he was informed that the organist was not in town that week. The always canny and resourceful Felix noticed that the card of introduction was addressed to “Maitre …” without a specific name. So he rushed along to the Church of Saint-Sulpice and used the card to meet the 89-year-old M. Widor instead! 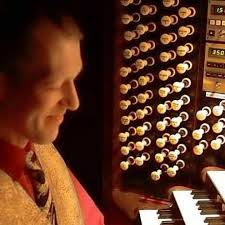 Felix was invited up to the organ loft and was allowed to turn pages while Widor played the Adagio movement from his Suite Latine, which Felix happened to have been practicing in London. The whole experience was a life lesson for Felix. The French organist André Marchal nicknamed the suburb of Muswell Hill La montagne des muses, as a play-on-words — and also because he found the air in that high part of North London more fresh and pure than down in polluted Central London. After Marchal’s death, Felix had the Gonzalez organ which had belonged to Marchal shipped from France to England, where it was installed in Felix’s home and where it resides today. There are several YouTube recordings of me playing this organ. From early times I had discussed with Felix my taking the name ‘Aprahamian.’ Though very flattered, he warned that our having the same name would make it awkward for him to promote me as a musician. Also, like many others, I came to know the dominating nature of his personality, and needed to establish my own identity and musical character. Paradoxically, when this prevailing influence ceased with Felix’s death, I decided to take ‘Aprahamian’ by Statutory Declaration as a middle name. I did it as a lasting tribute to someone who had had the most profound influence on my life. When asked if I plan to give a recital in memory of Felix, I reply that by taking his name, I intend every performance to pay tribute to my dear friend and mentor. I speak Armenian, know something of the culture, and have consulted with Felix’s nieces and nephews. The music author Lewis Foreman has prepared a book about Felix, due to be published by Boydell & Brewer. The book will be in three sections: a biography of Felix; his correspondence with various composers and musicians; and the best of his writings on music. On Felix’s death, he left his Muswell Hill house to The Arabesque Trust for Blind Pipe Organists. His collection of organ scores had been donated to the Royal College of Organists during Felix’s lifetime, but most of the remainder of his archive of scores and books is still at the house. The Arabesque Trust and I welcome visits from serious researchers and scholars, and we do our best to accommodate all visitors who wish to see the archive. It is welcome news to know that things have remained very much the same at Muswell Hill in the years since Felix Aprahamian’s death — still welcoming students and scholars as in Aprahamian’s day. I’m sure it’s exactly what he would have wished to happen. This entry was posted in Classical Music, Composers, French Composers and tagged Andre Marchal, Aprahamian, Charles Munch, Charles-Marie Widor, Classical Music, Claude Debussy, David Liddle, Delius, Felix Aprahamian, Florent Schmitt, Frederick Delius, French Composers, French Music, ISCM, John Amis, London Philharmonic, London Philharmonic Orchestra, Maurice Ravel, Olivier Messiaen, Organ Music, Peter Warlock, Ralph Vaughan-Williams, Schmitt, Strasbourg Music Festival, Sunday Times, United Music Publishers. Bookmark the permalink. I admire such a thorough search, which opens new horizons. This is a great post — well-researched and so very interesting. How many people leave the door open to all fellow travelers these days? What fabulous times those must have been. And what do we have today? Facebook.